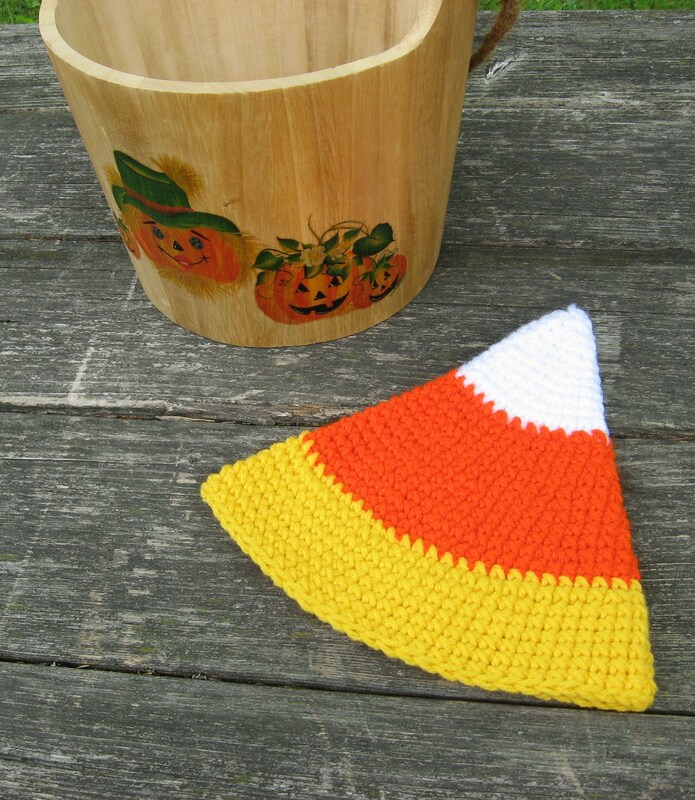 I’ve had a couple of people comment on the wooden bucket in the photo with my Candy Corn Hat, so I thought I’d do a quick blog about it. The bucket was a super-easy project. 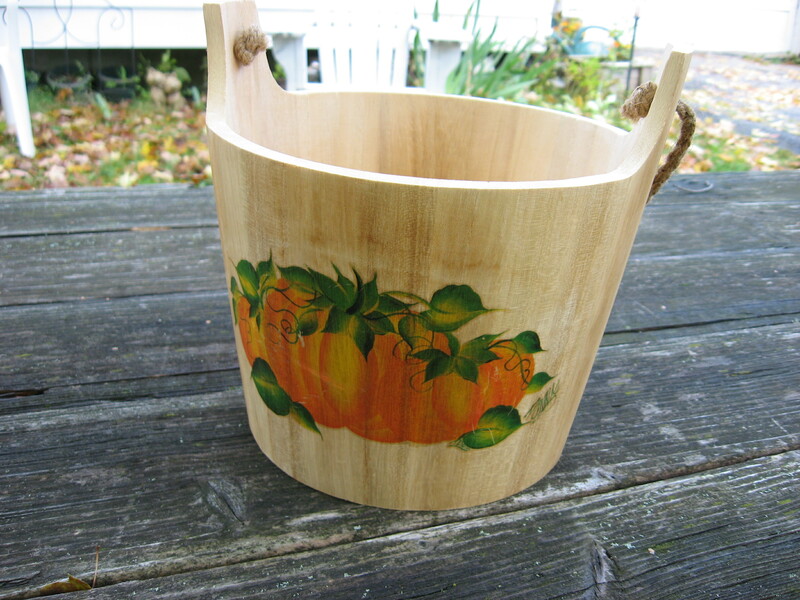 I had purchased a plain wooden bucket with a jute handle from my local discount department store (this was years ago) and all I did was add rub-on transfers to it and then coat the bucket with a matte varnish. How easy is that? The bucket has images on two different sides, so I can use it for Halloween and throughout the entire Autumn season. I usually just have some artificial foliage stuffed in it. If you want to put a live plant inside, just place a plant pot inside the bucket. It would look great hanging up from the handle with a rhododendron or something similar draping from it. It would also make a great bucket for trick-or-treating or handing out candy! This entry was posted in General Crafts and tagged Autumn crafts, Halloween crafts, rub-on transfer crafts. Very nice What a beautiful Autumn bucket!